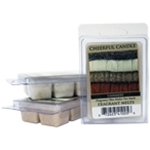 True to Life Fragrance Melts to match your favorite Cheerful Candle scent without the flame! Filling the air and warming your heart all at the same time! 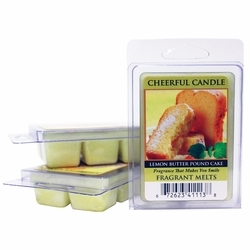 Fragrance melts are sold individually and contain 6 break-apart cubes. 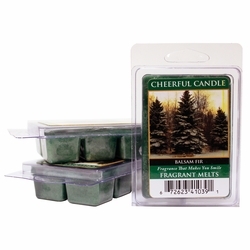 Woodsy pine mixed with frankincense. A rustic blend of cinnamon and woodsy pinecones. A fruit and citrus blend complimented by warm, spicy notes of cinnamon, nutmeg, ginger, and clove complete with a touch of vanilla musk. 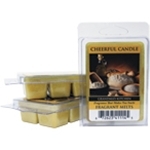 A wonderful aroma of warm and inviting banana nut scent with a sweet fruity top of banana rum leading to aromatic, baked spices with cinnamon, clove, nutmeg and buttery hazelnuts. A warm, rich blueberry muffin with buttery baked freshness from grandmothers country kitchen. 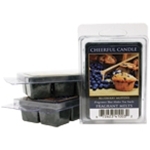 A tasty and fruity combination of ripe red grapes, blueberries, pomegranates, and plum leaves. A blend of maple syrup, buttery rum and vanilla cinnamon. A woody-vanilla blend with floral and citrus notes. 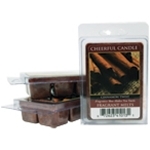 A warm, rich and brown spicy aroma of fresh grated cinnamon sticks. Forest fir, sandalwood & cedar aroma. A fresh, crisp, linen fragrance with a clean ozonic character. A modern woody musk undertone with a lush amount of a spring cotton breeze. 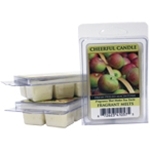 A naturally fresh, tart and juicy Macintosh Apple aroma. 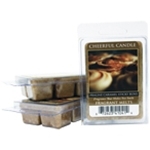 A scrumptious aroma of all of the home baked goods you will find in Grandma's Kitchen, warm apples, peaches and cinnamon. 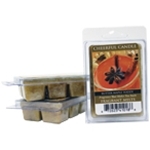 A delicious Anjou pear and Honeycrisp apple cider fragrance sprinkled with cinnamon and cloves. A bright and cheery apple bouquet accented with peach, cinnamon and clove. This is a tried and true #1 seller! 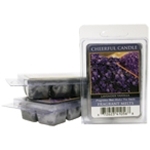 An exhilarating top note of fresh cut lavender, while a splash of Italian Bergamot and wild sage mingle with woodsy cedar, and fall into a blanket of sweet vanilla. 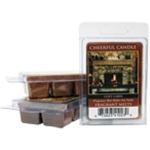 An irresistible baked blend scent of warm vanilla caramel with dark brown sugar and butter drenched pecans. 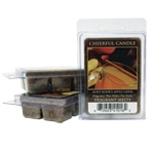 An enticing blend of warm figs, jasmine, sandalwood and spicy anise. 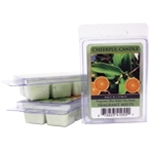 Sage fragrance with a lemon orange citrus top note which is intermingled with an herbal accord. The body of the fragrance is a floral sage complex highlighted by ylang & jasmine notes. The fragrance dries down to an amber musk character.